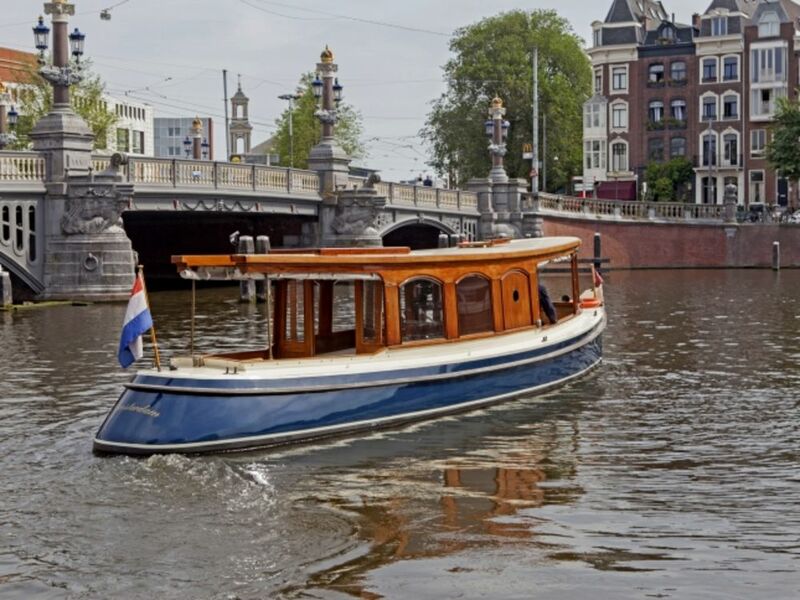 Built in 1910, recently renovated and equipped with all modern comforts. 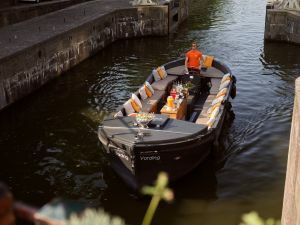 Including central heating, toilet, kitchenette, fridge and wine cabinets, pone connection and a beautiful open rear deck with the possibility to open the roof. 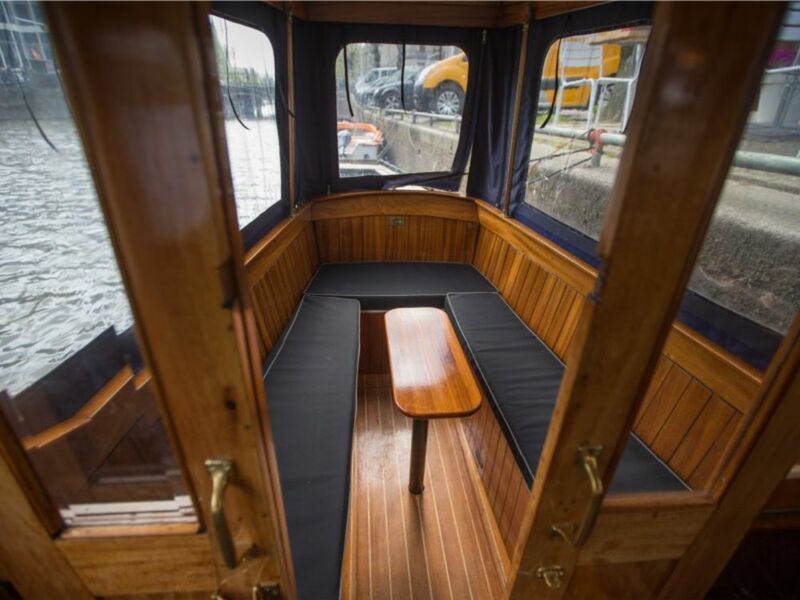 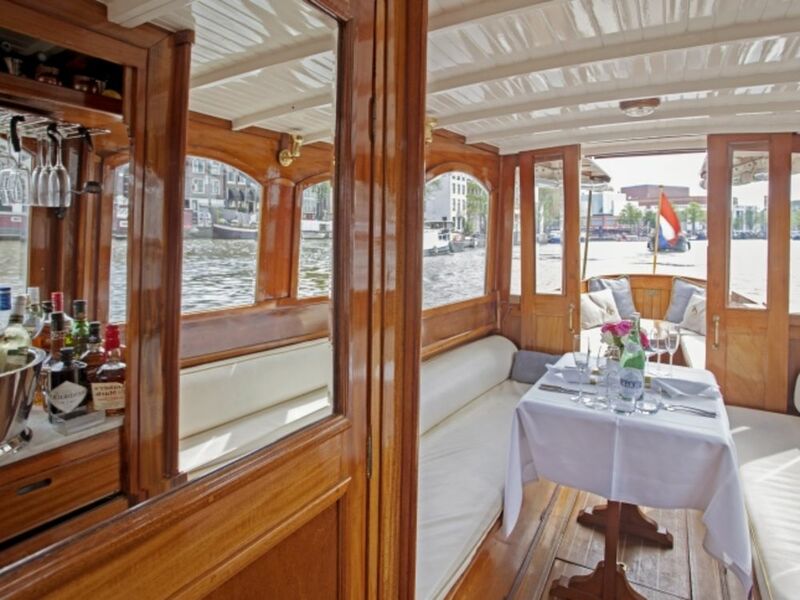 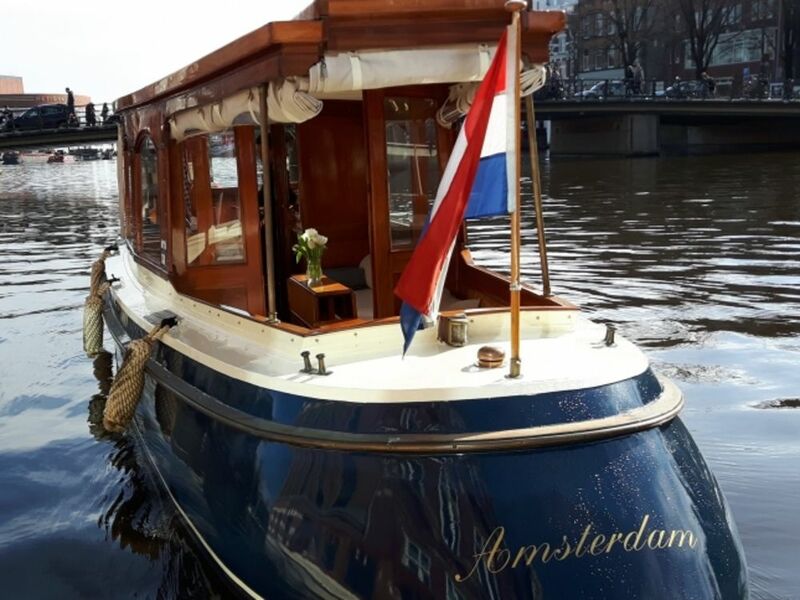 The saloon boat Elisabeth is a very elegant appearance on the canals of Amsterdam. 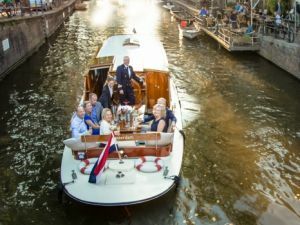 Dining can be arranged on board this unique saloon boat where we serve the dishes in cooperation with several restaurants. 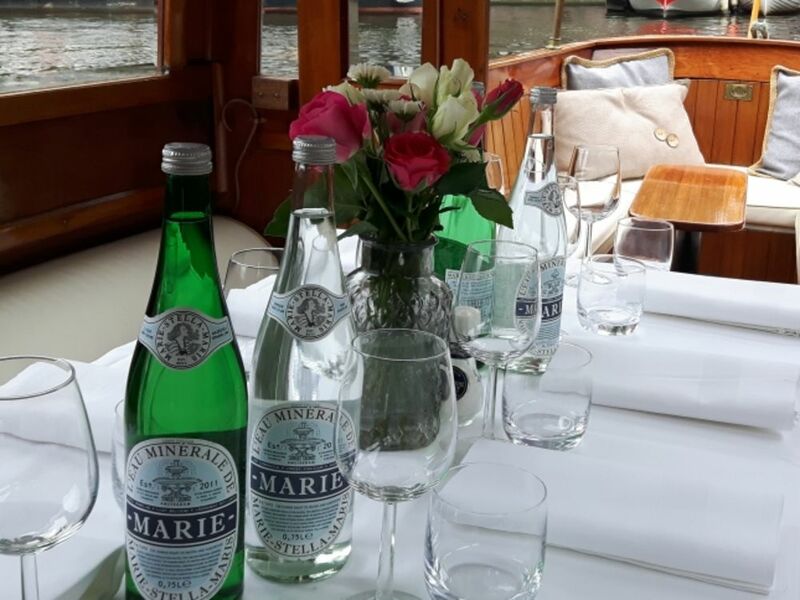 This ensures relaxed sailing and enjoyable culinary delights. 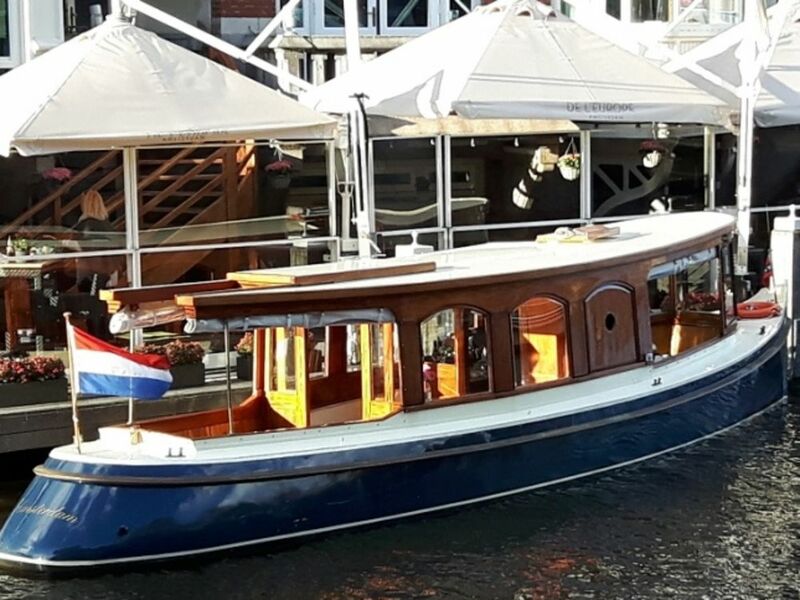 Are you looking for a beautiful saloon boat for a drink cruise, an intimate lunch or atmospheric dinner for a small company? 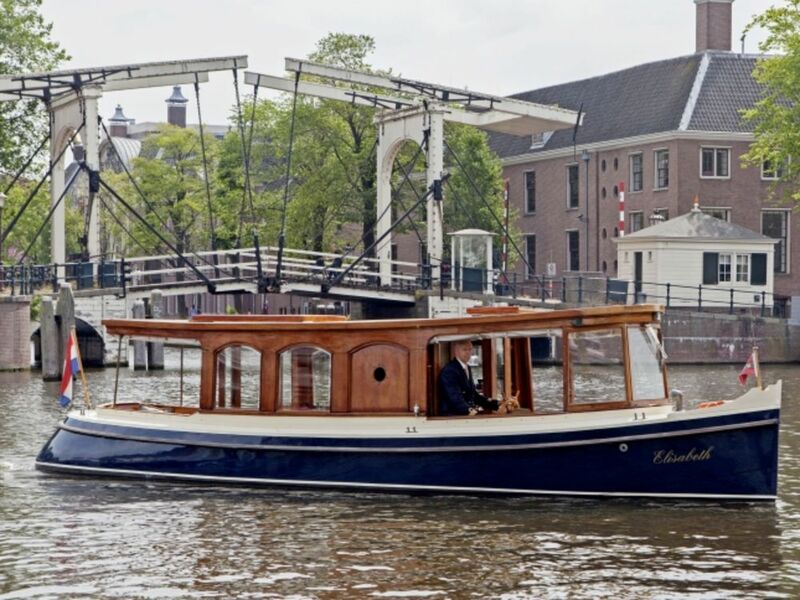 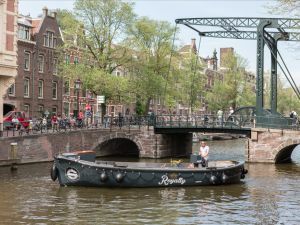 Sailing with the Elisabeth in Amsterdam is an unique experience. 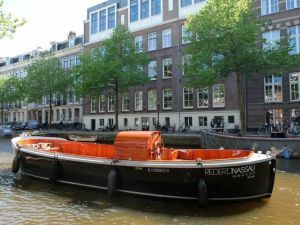 Renting this boat makes it possible!